We have another batch of almost thirty titles now available as digital downloads. If you haven’t been converted to our new download format, you will be when you learn that they save you money and postage costs! Read more about our newly released download publications. 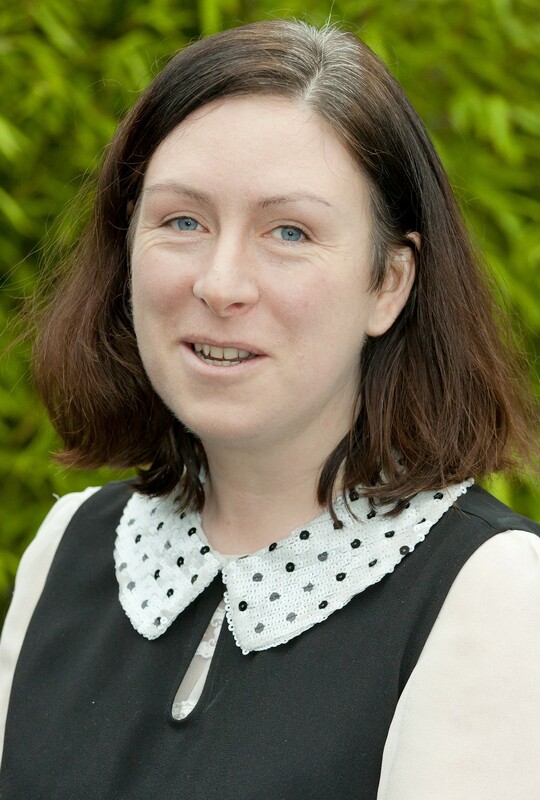 This Research Q&A Fiona Fitzsimons, Eneclann’s Research Director, answers Mrs M. Hilbert’s question about finding out more about her Mayo ancestors starting from information in English records. Read Fiona’s advice to Mrs Hilbert, or some of our past Research Q&As. This year’s Back To Our Past 2012 is next weekend! From Friday 12th to Sunday 14th October you can catch the show in the RDS Industries Hall in Dublin. Eneclann will be at stands 30/31/38/39 so visit us for genealogy advice and discounts of up to 50% on our range of genealogical and historical interest CDs. Eneclann’s Brian and Fiona are also giving talks in association with findmypast.ie and are forming part of the panel for Friday’s History Ireland Hedge School. If you have any old books of historical or genealogical interest that are valuable for digitisation, bring them along to the show to get our expert opinion. Read more about the Back To Our Past show and take a look at the Eneclann website for more information on what to expect from us at the show. You might already be aware of the research Eneclann has done into Bram Stoker’s family history and the inspiration this provided for his most famous literary creation, Dracula. In a new BBC Radio 4 documentary Fiona Fitzsimons of Eneclann meets with Patrick McCabe to discuss how Stoker imagined Dracula as more Irish than Transylvanian. To hear the full story, tune into BBC Radio 4, at 4pm on Monday 8th October. Read our press release about the new radio documentary. Last newsletter we concluded our ‘County Focus’ series but we’re back with a brand new regular newsletter item – Topic Focus. This newsletter we’re kicking off with Revolution and War of Independence, a topic for which we have some cracking titles. 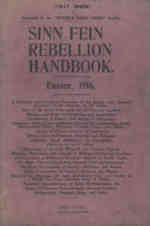 The Sinn Féin Rebellion Handbook is one of the key sources for the 1916 Rising and contains a wealth of information, including an official list of casualties, names of prisoners, photographs and a map showing the key locations in Dublin. 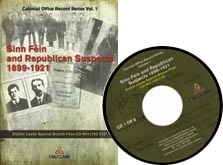 The Sinn Fein and Republican Suspects 1899-1921: Dublin Castle Special Branch Files CO 904 (193-216) contains secret intelligence on over 440 individual suspects who were under surveillance, including Eamon de Valera, Michael Collins, James Connolly, Roger Casement as well as many ordinary individuals. The series runs from 1899 right through to the Treaty in 1921 and is an essential source for any detailed examination of the period. The American Commission on Conditions in Ireland: Interim Report (1921) is a must for anyone interested in the War of Independence in Ireland, as it’s a published account of oral and written testimonies from witnesses in Ireland 1920- 1921. 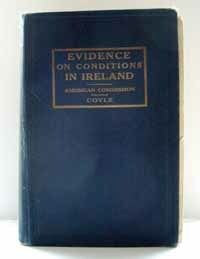 The American Commission on Conditions in Ireland, Evidence on Conditions in Ireland is a collection of the evidences used in the above. Going back further in time Doheny’s, The Felon’s Track or History of the Attempted Outbreak in Ireland (1843-1848) records Doheny’s involvement in the Young Ireland Movement. From the same era and written in Australia by Sir Charles Gavan Duffy, A Fragment of Irish History was Duffy’s attempt to record the political events of the period 1840 to 1845 in which he was a prominent player. John Savage’s ’98 and ’48: The Modern Revolutionary History & Literature of Ireland is an account of two of Ireland’s attempts to throw off British dominion. This CD republication should appeal to anyone interested in the causes, consequences main events and leading figures in Ireland’s Rebellions of 1798 and 1848. Speaking of 1798, we have Some Notes of an Irish Exile of 1798, namely the Chapters from the Memoirs of Miles Byrne relating to Ireland. Byrne’s Memoires are recognised as one of the most authoritative accounts of the 1798 Rising and a must read for anyone interested in accounts of the 1798 Rising in general and more especially the campaigns in Wicklow and Wexford. The 1798 Rebellion: Claimants and Surrenders brings together some of the few remaining primary sources about the people involved in this conflict. It contains two lists of individuals who made claims for compensation for loss of property during the rising, and also two lists of rebels who surrendered in Dublin City and Coolock Barony. 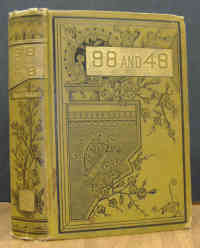 In total there are over 8,000 names included in this publication. That’s not all though! Take a look at the full list of our Revolution and War of Independence topical titles to see what else we have, or check out our full range of topics. On Tuesday 9 October at 7pm, Padraic Kennedy from the Military Archives at Cathal Brugha Barracks will be speaking in the National Library of Ireland. His talk, ‘The Military Archives: an introduction to our sources for military history and recent initiatives’ will be held in the Seminar Room. It’s a free talk and all are welcome – no booking is required either! Image reproduced by courtesy of the National Library of Ireland.